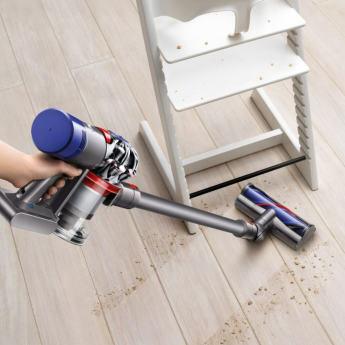 Dimensions (WHD): 48.9" x 8.27" x 9.84"
Dyson’s class-leading V-series handheld cleaners get even better with the powerful, lightweight and pet-hair-busting V7 Animal. I have two upright dyson vacuum cleaners..one is 22yrs old and works great and I got the ball upright as well I have them in different parts of the house and now I have the new V7 ...which I LOVE ....it’s great to pull out for quick messes and I even use it many times do to the whole house. I also have the older DC35 model which I still have after 5 years of use. The V7 model is more powerful and yet it sounds a little quieter than the DC35. The trigger is smoother now and the attachments slip on like butter. The DC35 you had to use a little extra effort to remove them. Gamer changer: high quality, cordless, well engineered. The V7 is high quality and a very well engineered vacum. Its always charged and read to go. Does a great with traditional vacuming and amazing on all those orther jobs like the car, couch, high up places, hard to reach spot. Easy to use. Excellent suction and low noise. Happy to vacuum with this one! 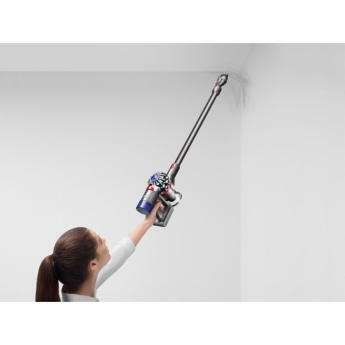 This is our first cordless vacuum other than the old-fashioned hand-held some years ago! Purchased this to replace a cylinder vacuum. Much more powerful than I'd expected, and relatively lightweight and easy to handle. Good attachments included too. Charges quickly, picks up pet hair effectively. "We bought this after our fairly new vacuum gave us the ghost. I wish we had bought this one instead! I couldn't believe how much suction it provides from what looks like such a small machine. I genuinely think our stair carpet has changed colour! Very lightweight and easy to use. 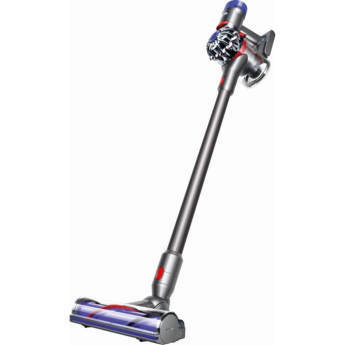 "This vacuum cleaner is unbelievably quick and easy to use, so versatile and very dynamic. I don’t have the burden of lumping around a heavy hoover with wires all over the house. Just quick quick, snap snap, go go, and the house is clean!" I’ve had my Dyson now for a few months. It’s one of the most convenient cleaning tools I’ve ever owned. I had been using a Rainbow. I’d have to fill the bowl with water, put it together, drag it behind me tripping on the cord constantly. The Dyson is just pull the trigger and go.